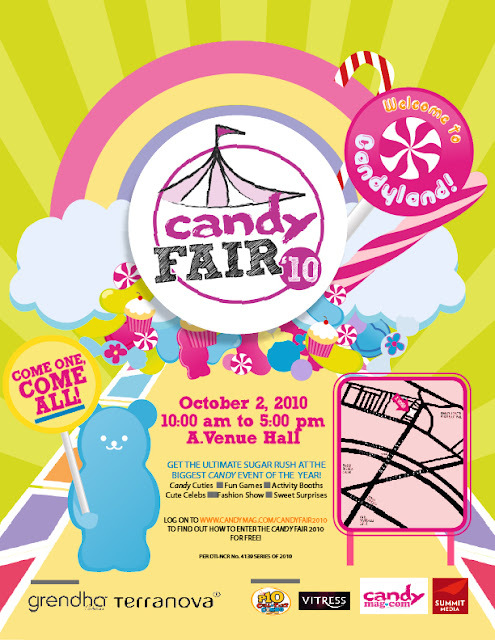 BIG BITE will be at the Candy Fair 2010!!! As we ignite our entrepreneurial spirit, Paul, my sister and I will be at the Candy Fair 2010 selling our ever-famous hotdog poppers, chicken nuggets and more! It will be a fun event as all visitors will be able to join the games, engage themselves in the fun activities lined up, watch cool performances and enjoy our yummy food!! Look for the Big Bite booth on Saturday, September 4, 2010 at the A.Venue Hall anytime from 10AM - 5PM. Bring a copy of the September issue of Candy Mag to enter or pay the P100 entrance fee (but I promise it will be worth it!)!! !